Designing of microfluidic devices according to customer's specifications and low volume production. 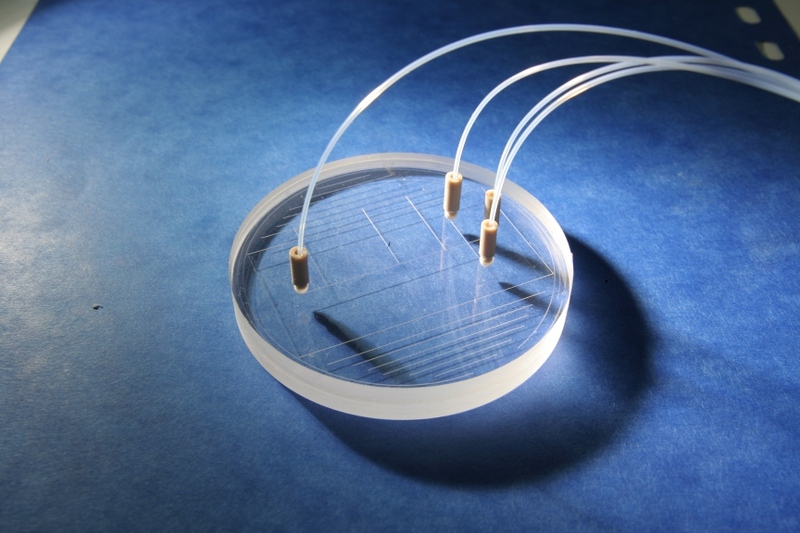 The AREMAC-Polymer proposal is based on more than 10 years of development of polymer microfluidic devices. AREMAC-Polymer proposes a complete prototyping technology for microfluidic devices in thermoforming polymers. This technology, in particular, allows to make devices in two steps: firstly, the devices are manufactured without fluidic accessoiries and sensors, then, the accessories and sensors are fixed generally by screwing (see opticMac5). Such devices with or without accessories can be studied and designed according to customer's specifications with the possibility of manufacturing in several units.